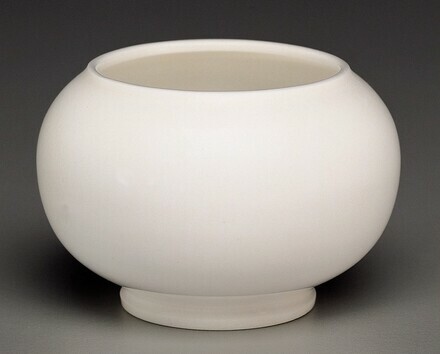 Made from a white paste, this cup is covered with a uniform colorless glaze. The flat base is unglazed. Bower, Virginia, Josephine Hadley Knapp, Stephen Little, and Robert Wilson Torchia. Decorative Arts, Part II: Far Eastern Ceramics and Paintings; Persian and Indian Rugs and Carpets. The Collections of the National Gallery of Art Systematic Catalogue. Washington, D.C., 1998: 147, color repro.